Sometimes, planning a joint birthday party makes sense. 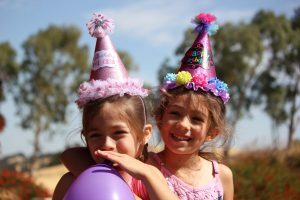 Whether you have two children with birthdays that are close together, your children are twins, or your child has a friend who they want to have a party with, a joint birthday could be the way to go. 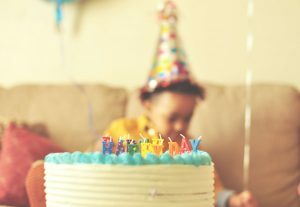 Whatever your reason is for combining your kiddos birthday celebration with another child’s (whether it is your or not) there are many different things to consider when planning. Joint birthdays can be a fun and simple way to knock two parties out at once. But there are many problems that could come with it. The kiddos may fight about the theme, the type of cake, what friends to invite, what to do at the party, and anything else that is involved in the party planning. Because of this, you need to plan carefully and make sure the children can agree, at least on some of the plans. 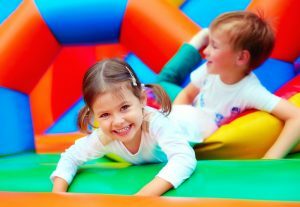 At Jumpin’ Jamboree in Kendall, we know how hard it can be to plan your kiddo’s party, especially when it is a joint party. Our party packages can help make the planning process simpler. In this blog, we are going to give you tips to planning a joint party and how to make sure none of the birthday kiddos gets upset. Whether you are having a joint birthday for both of your kiddos or your child is having a combined birthday with their friend, make sure you celebrate alone as well. A small family birthday celebration for each child or for your own child will allow them to feel special on their big day, even with a joint party planned for later. Sharing the attention can be hard for children, so having separate celebrations can allow them to have their moment in the light! This celebration doesn’t have to be big, it can be a simple little family party with a cake and a few gifts. 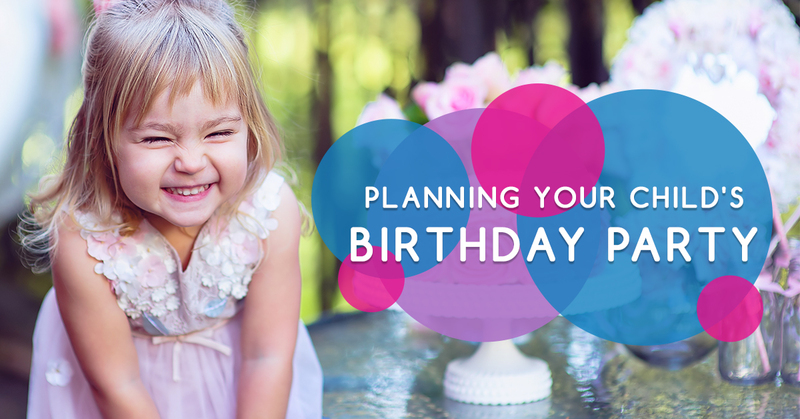 Before you get started with planning a joint birthday party, make sure they want it! You will want to ensure that both children are okay with having a joint birthday party and sharing the spotlight. If they aren’t, you may want to avoid planning a joint birthday, it will likely only end in tears. When you have a joint party, it is likely to be bigger than a single child’s party. Unless the two kiddos have the same group of friends, you will most likely be inviting more children. This means you need to plan accordingly. Think about the space you have, where you will be hosting the party, how much food you will need, and other factors that are affected by the number of kiddos. If you are hosting the party at home, you may not want to invite that many children. If you are planning a joint party with three or more birthday kiddos, you will likely have a larger party. This means you will need a space to accommodate for all of them. At Jumpin’ Jamboree, our indoor inflatable play place can host a ton of children! Our party packages can take care of eight to 40 children. This means that our space is perfect for larger parties! When you host a joint birthday party, two cakes is a must (unless of course, you are celebrating more than two children). Each of the birthday kiddos should have a cake of their own, allowing them to blow out their own candles and have a cake design they want. While that may seem excessive, just think about it this way: if you were having separate parties, you would be getting two cakes anyways! This will keep kids from fighting and getting upset. Plus, if there are a ton of kiddos at the party, multiple cakes will be a good idea! Having a joint birthday party can make a child feel like the day is less special. While a joint birthday party can often be a great idea, you will want to make it extra special. Rather than planning a joint party at home, plan something exciting and fun! A combined birthday celebration at Jumpin’ Jamboree is a great option. Kids love these types of parties, but having an individual party for each of your children can be over the top. That is why joint parties are great when you host them at these fun places! Both kiddos will be able to enjoy it for their birthday. As a parent, you know that having extravagant parties at places like Jumpin’ Jamboree is something that will not happen every year, but when you plan a joint party, it should happen! You want to make these combined celebrations extra special. If your children are a few years apart, you will want to keep that in mind. Your younger child may like to have a princess party but the older kiddo will likely not. Planning a party that they both will like is important and help keep disagreements at a minimum. However, finding something that they both will like can be the challenge. Once again, Jumpin’ Jamboree can be the right choice! Every kid loves the bouncing, jumping fun that Jumpin’ Jamboree offers. Our inflatable playground makes the perfect party place for kids because it is fun for all ages! We even have a toddler zone to keep the younger partiers happy. Following these tips can help you plan the perfect joint birthday party and avoid as much kiddo drama as possible! When you are planning a joint party, Jumpin’ Jamboree in Kendall is the best choice. We cater to all children and all age groups, we can host large parties or small, and every kiddo will love playing on our inflatable playgrounds! If you are looking for a kids party place for your kiddo’s joint birthday party, be sure to check out Jumpin’ Jamboree’s party packages! Contact us with any questions you may have or to reserve your party space!